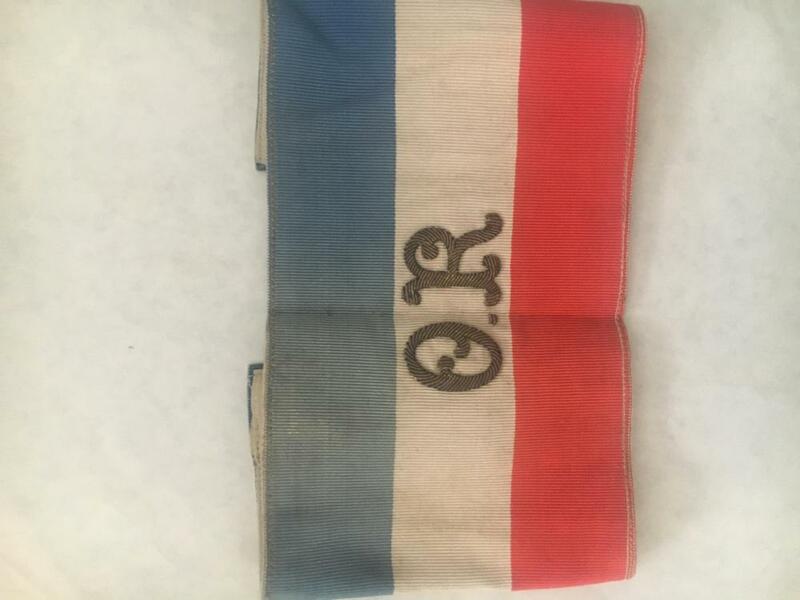 Hello, Appears to be an French Army Staff officer armband .the three colours denotes an Army Corps staff . the baided O and R indicates more precisely the status of the wearer but iam not able to said what means. a similar armband with the letters A and L braided implied that the wearer was attached to the Heavy Artillery of the Corps . Artillerie Lourde in French . I 'll ask the French colleagues. Thank you Bayern for the information so far . Stuka it would be good if anyone French has a clue , so it will be fun to see if there’s an answer rather than any in my Mind that could be miles away!! je pense donc que ce brassard est pour civils mais pour quel usage? on vois pas l arrière mais je pense qu il est doublé la fabrication est soignée. I asked on a other French forum, I knew there was a guy collecting this type of armbands. His wife replied so far, because he wasn't home. She thinks also it would be for civilian use, but waiting for confirmation by here husband. the guy's found a old description (no pic!) regarding a armband with OR on it but the colors do not match. This one would be green yellow and red and was given to a winner of a fencing contest, between two wars.